Well, I haven’t been making much of anything these days. July is such a busy month up here. I’ve had out-of-state visitors and vacations and sunshine and work and other things to do! So I’m playing a little catch-up– this is about a quick little fishing trip I took earlier this month. I had been fishing before, but wasn’t feeling confident enough to head out on my own. 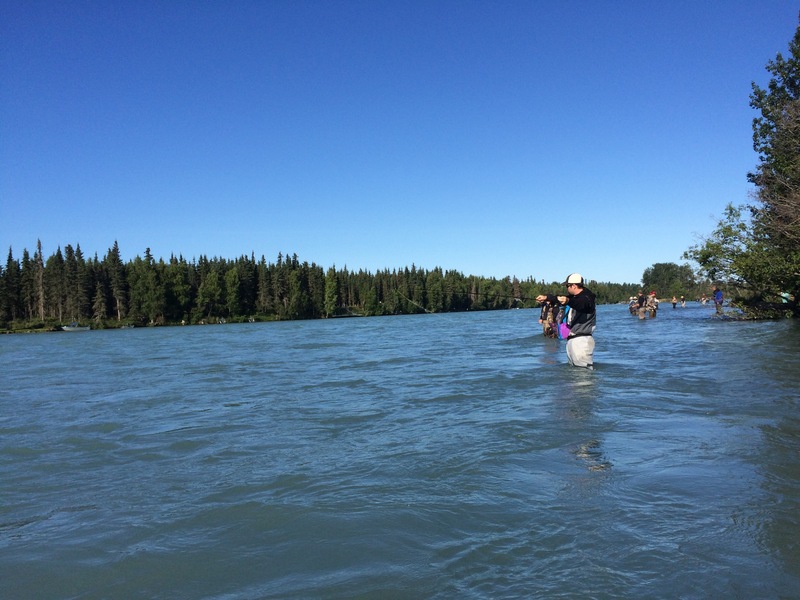 So when my mom’s cousins invited me to crash a cabin they were renting on the Kenai river and go fishing, I jumped at the offer! I found a fly rod and reel setup at Cabela’s (on sale!) and then found a pair of waders. I had a bunch of other gear already so I dug it out of my closet and hit the road. 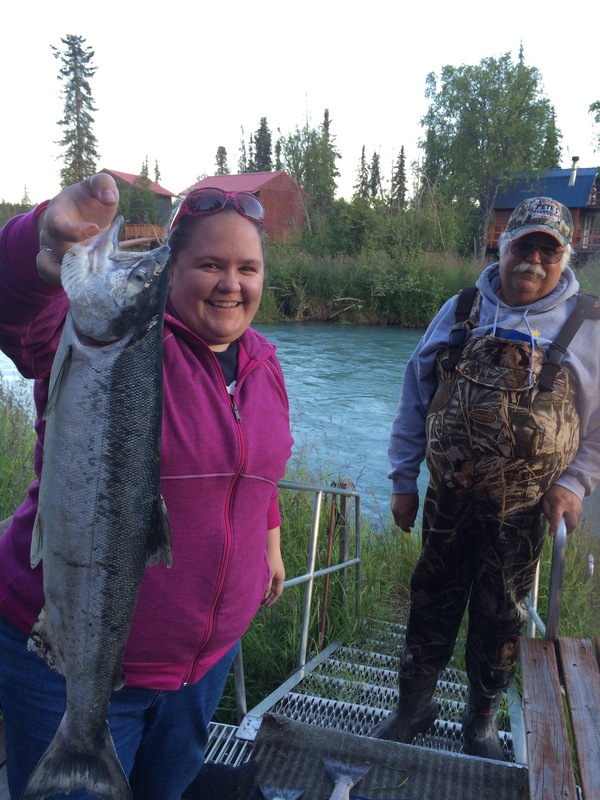 That’s my second cousin, Allan, slaying ’em out there on the Kenai River! Here’s the fish I caught! Just one. I should have spent more time out there! Right after this pic I got some personal fish cleaning lessons! Sure is nice to have a little fish in the freezer AND feel like I can tie my own knots and clean my own fish! Gonna be looking for some silver salmon this year too! Seems like most of Anchorage headed down to the Kenai peninsula and fish and dipnet so I hit a lot of traffic coming back. Not a bad day to be stuck in a beautiful place though! And Bentley was so excited to be home and in her own yard!